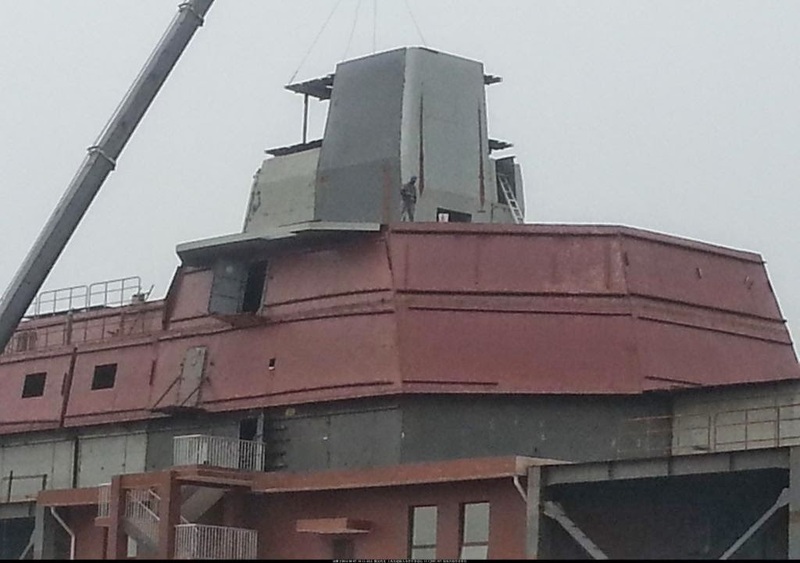 Yesterday we announced our identification of a new mockup at Wuhan as the first hard evidence of the design of China's new large surface combat ship. 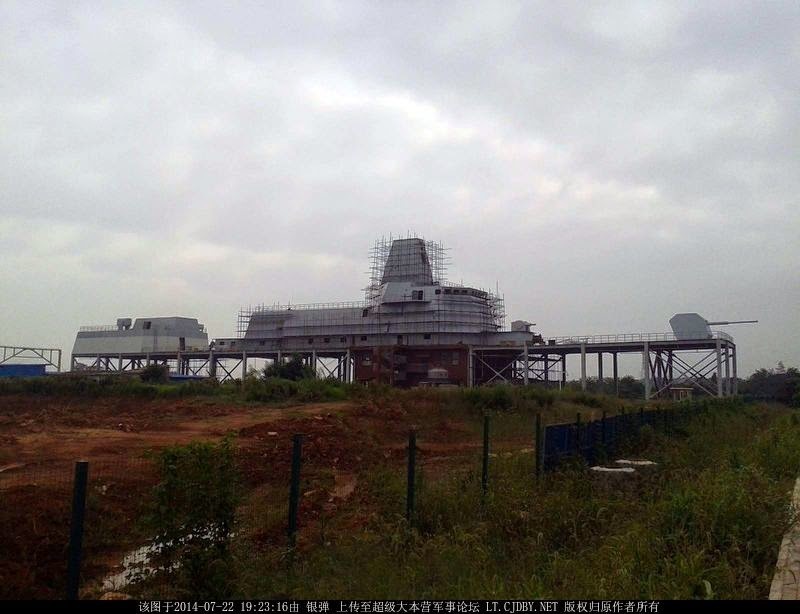 In what has become the normal sequence for China watching as of late, the first distant hazy photos were rapidly followed by a string of ever closer and clearer images. New cruiser mockup at right, existing CV mockup at left. 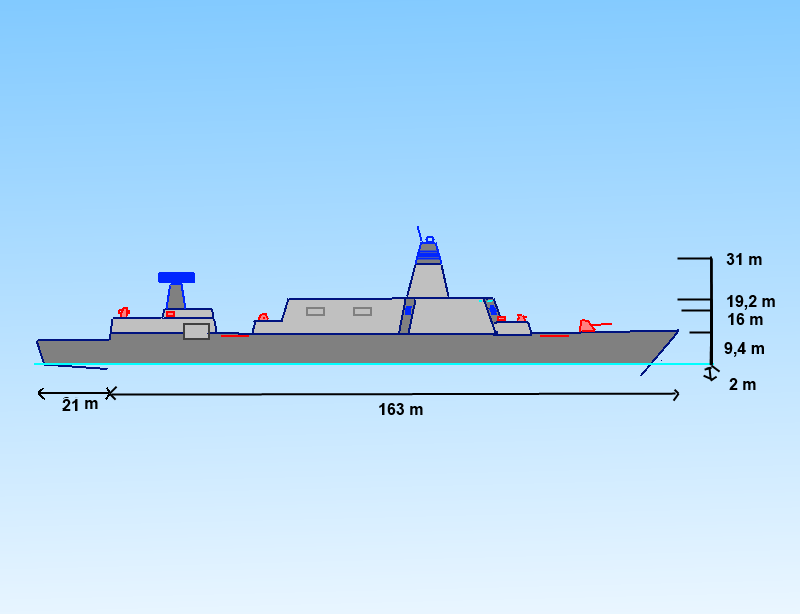 Clear side profile, note the bow and hangar deck are not constructed. 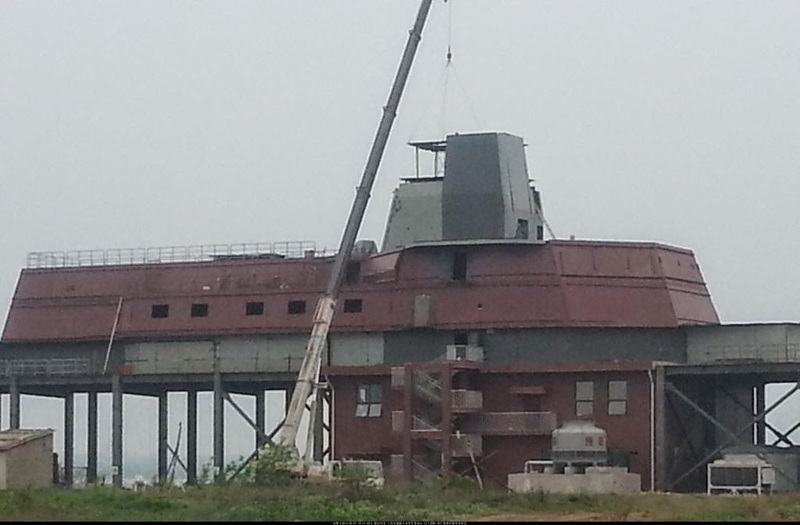 This contents of this unusual extended superstructure are hotly debated. Closeup boasting an exceptionally large bridge deck. 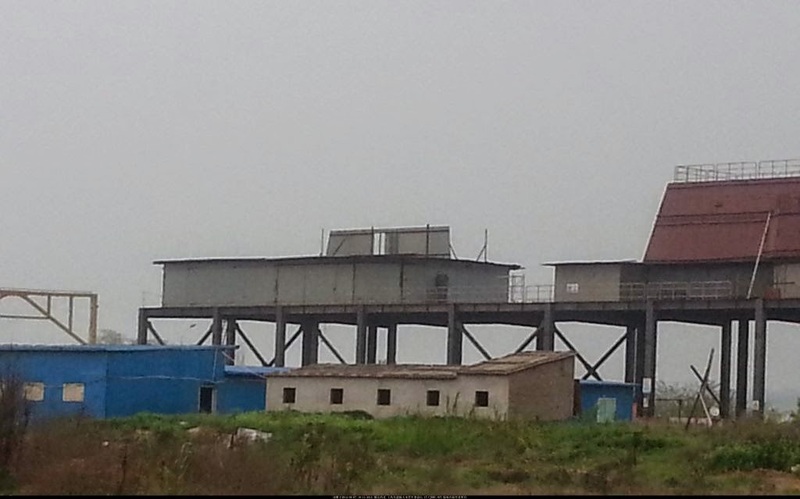 CDF members surmise this aft superstructure to be a hangar and possible pedestal for an L-Band radar. 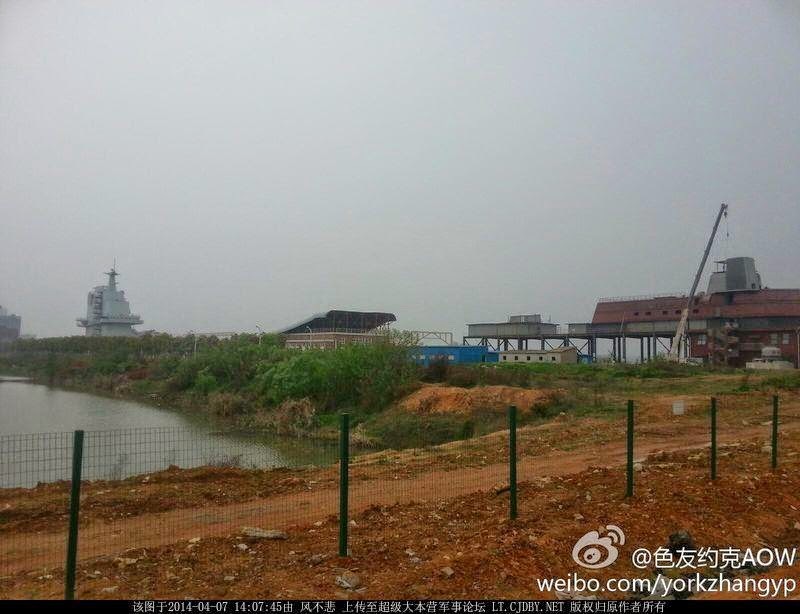 The mockup of the CV LIAONING was built at Wuhan in late 2009, and the actual ship entered the fleet in 2012. Using this same timeline we might expect the keel of the new cruiser to be laid in 2015 with a 2017 commission date. Revised dimensions (courtesy CDF member "Totoro"). 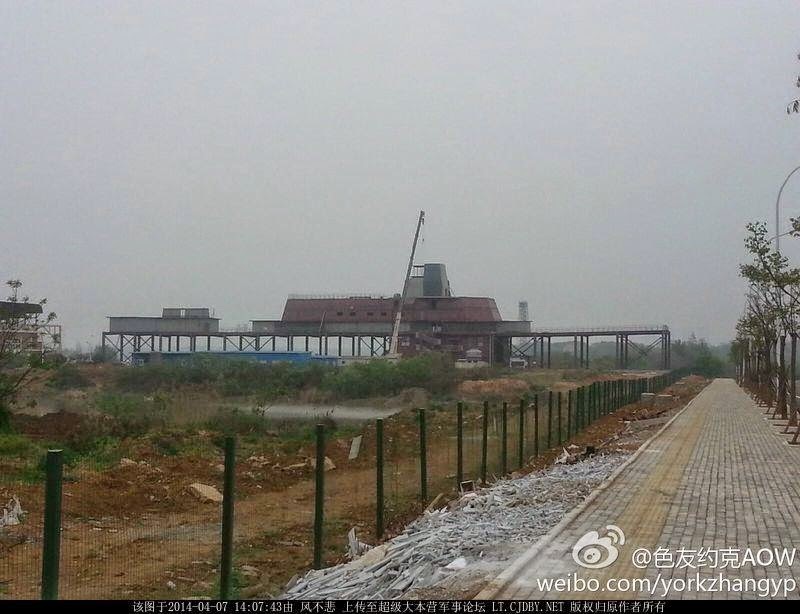 We will continue to watch the developments at Wuhan. 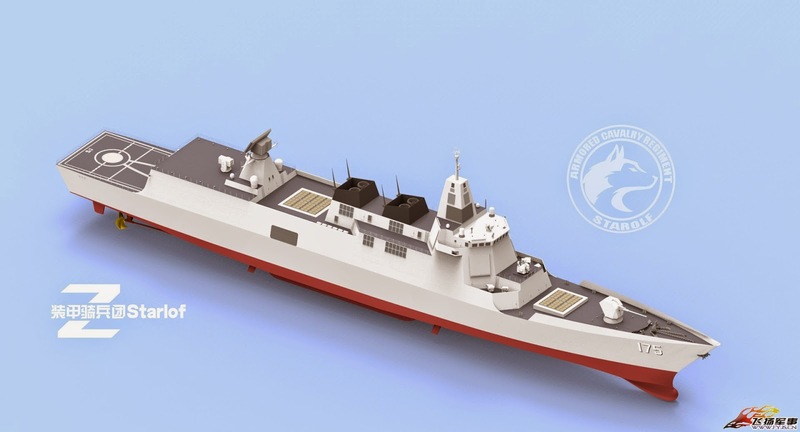 Join us in the CDF Forum to discuss this and other Chinese military topics.